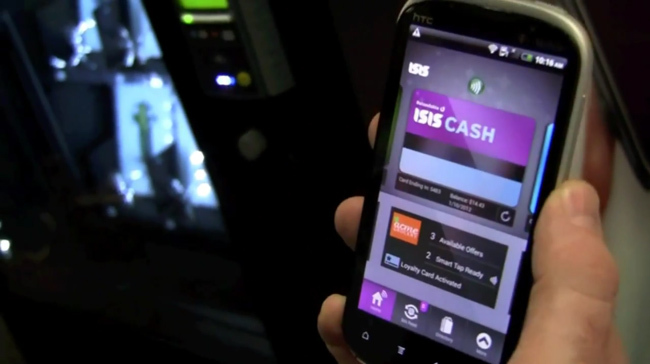 Google Wallet competitor Isis, made a showing at SXSW recently and demoed its application for people. Isis is the mobile payment system that almost ever carrier is behind except for Sprint. The company is touting their easy-to-use interface at SXSW and showing how to add credit cards, loyalty cards and deals all from the same app. To be honest the app looks very, very similar to Google Wallet with the scrolling cards up top and a menu beneath. But, Isis has secured the deals that Wallet hasn’t. Isis is partnering with Verizon, AT&T, T-Mobile, Chase, Barclays and Capitol One. The loyalty cards are something that Wallet has yet to implement as well, so it was a good showing for Isis overall. The Isis/Wallet war continues. Could the BeeRaider Keyboard's Unique Design Improve Your Texting Efficiency?